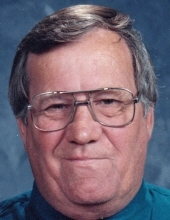 David J. Lesperance, 76, Algoma, passed away Thursday, October 4, 2018 at the Atrium Post Acute Care in Kewaunee. He was born April 8, 1942 in Two Rivers to Louis and Mary (Deprey) Lesperance. David married Rosemary Carmody Sept. 23, 1967 at St. Mary Church, Algoma. He worked for 22 years at Peterson Builders in Sturgeon Bay. Everyone that worked with him knew him as "Wiener" Lesperance. After the closing of PBI David worked for five years at Palmer Johnson. David enjoyed all the precious time he spent with his children, grandsons and great granddaughters. In his spare time he enjoyed helping his good friend Paul Koenig with his painting business. He enjoyed visiting with the Koenig family, woodworking with his family and just spending his time in "God's Country". David is survived by his wife Rosemary, two daughters SuLynn Kostichka and her significant other Greg Ronsman, Casco; Sheila Moore and her significant other Jake Blahnik Sr.; five grandsons Travis Kostichka, Devin (Cassi) Kostichka, Sheldon Moore, Reese Moore and Jacob Blahnik Jr.; two great granddaughters Brooklynn Moore and Liberty Moore; three sisters JoAnn (Donald) Tullberg, Darlene (Warren) Waier and Ann (James) Dier; many nieces and nephews. There will be a gathering from 11:00 AM until 1:00 PM Saturday, October 13, 2018 with a Celebration of David's life Ceremony at 1:00 PM at the SCHINDERLE FUNERAL HOME, Algoma. Father Alvan Amadi will be officiating the ceremony. Private burial will take place at a later date. The family wants to give a special thank you to Atrium Post Acute Care in Kewaunee and Southern Care Hospice for all the kindness and care given to David and his family. Leave your online condolences on our tribute wall at www.schinderle.com. To send flowers or a remembrance gift to the family of David Joseph Lesperance, please visit our Tribute Store. "Email Address" would like to share the life celebration of David Joseph Lesperance. Click on the "link" to go to share a favorite memory or leave a condolence message for the family.